In a statement released this morning by Speaker Nancy Pelosi, Majority Leader Steny Hoyer, Majority Whip James E. Clyburn, Assistant Speaker Ben Ray Luján, Caucus Chairman Hakeem Jeffries and Caucus Vice Chair Katherine Clark offered a strong rebuke of perceived anti-semitism by freshman Congresswoman Ilhan Omar. It is astounding how shedding light on AIPAC, one of the strongest lobbies operating in the United States, has been smeared as anti-semitism. It’s undoubtedly a silencing tactic against an outspoken refugee woman of color with increasing influence in the legislature. Congresswoman Omar didn’t say anything that came close to the blatant hate speech of other elected officials, like the president himself, who recently made a racist smear against Native Americans that did not receive anywhere near this blowback. Yet, congressional members spared no time to pull out the pitchforks and demanding an apology for Congresswoman Omar’s one-word tweet. Can any individual deny that AIPAC and other pro-Israel lobbies have provided massive amounts of capital to members of the United States Congress in order to ensure their causes remain of the utmost importance? In the 2018 midterms alone, pro-Israel groups were estimated to have spent $14.8 million, a record high since 1990. According to the same source, 269 members of the House as well as 57 members of the Senate have received monetary contributions from pro-Israel interest groups in 2018. Another source tells the tale of rapidly rising campaign contributions, not just from pro-Israel interest groups, but also from conservative mega-donors such as Sheldon and Miriam Adelson. So, this begs the question, what exactly in Congresswoman Omar’s responses to those tweets was falsified? And how on earth does the unmasking of the relationship between pro-Israel interest groups, and members of the U.S. Congress warrant inflammatory labels such as anti-Semitism? In light of the recent wave of open discourse around Palestinian human rights, it seems like grabbing at straws to maintain the previously unchallenged status quo of Israel’s ongoing military occupation. No doubt, a pro-Israel stance is crucial to ensuring Israel’s unspeakable attacks against the Palestinian civilians continues uninterrupted. But we must resist setting a deafening precedent that calling out dangerous political contributions is only anti-Semitic when it comes to a Muslim woman of color calling out Israel. 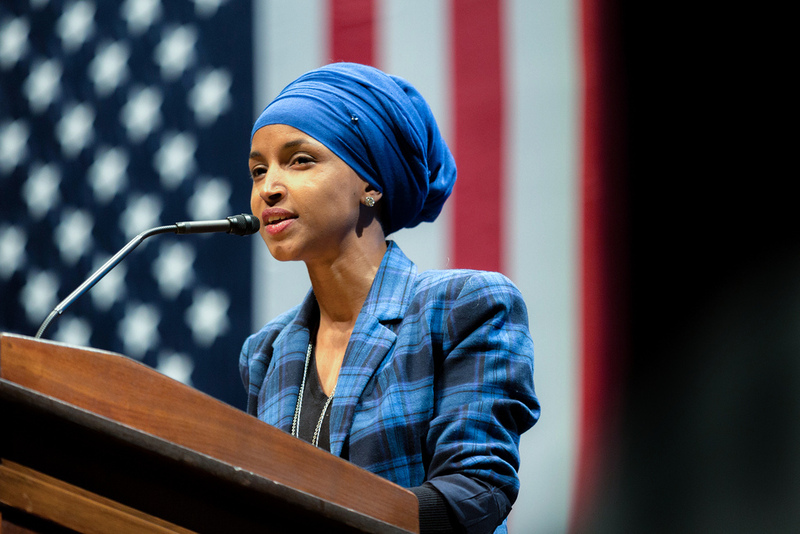 While anti-Semitism is a real problem in our increasingly intolerant political climate, conflating it with Congresswoman Omar’s criticism of a political group is a serious threat to accountability.